Shenandoah's Eclectic Scribblings: Blog Tour: The Most Eligible Bachelor! Blog Tour: The Most Eligible Bachelor! Welcome to our "Meet the Bachelor" blog tour! We have some fabulous prizes, a gift basket with contributions from all the authors, and free books! Please check back for details on how to enter, and where you can read more about the various stories in this very fun romance novella collection. And without further ado, may I introduce you to ... 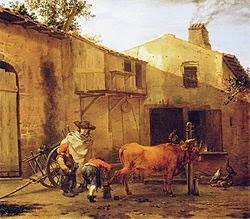 The Highwayman. Bachelor's Name, Age, Occupation – Samuel Wheeler, early 20’s, apprentice wagonmaster (and handler of oxen--hence the adorable plush calf in the gift basket, from Colonial Williamsburg!) 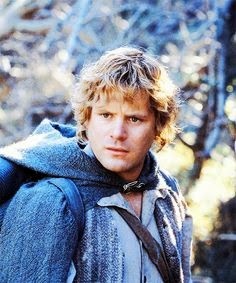 Visual inspiration: if you can imagine a young, blond Sean Astin, reminiscent of his role of Samwise Gamgee in Lord of the Rings, only decked out in colonial working-man's wear, with long hair pulled back in a queue, you'd have a good approximation of Sam Wheeler. What makes him so eligible? – his famed, if anonymous, heroism. Who are the ladies contending for the bachelor? – many would love to contend for him, but the only one he has eyes for is Sally (Sarah) Brewster, daughter of an innkeeper along the Great Road. 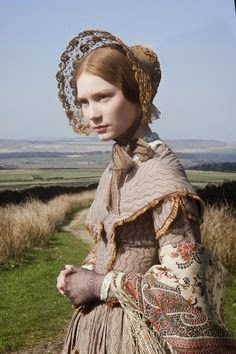 Visual inspiration: Mia Wasikowska as Jane Eyre--the costuming is the wrong era, but the hair and eyes, with that saucy cleft chin, are very reminiscent of Sally. What must the ladies do to win his hand? (Is it a competition, etc.) – Sally is shocked to find all she really has to do is be herself. With the colonial model of beauty running more to plump and petite, she believes she's too tall, too thin for attractiveness. 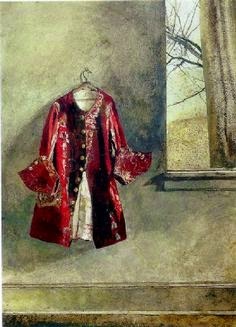 Painting by Wyeth ... Sam's coat? Inspiration for the story – It all started with the transcript of a colonial wagonmaster's diary (see link above) which fell into my hands while researching for my first novella, Defending Truth. The diary offered some amazing insights into travel and daily life of the time. Later, as I contemplated the logistics of a person in this occupation leading a double life, all kinds of influences got thrown into the mix: The Scarlet Pimpernel, Zorro, Robin Hood, and even the modern TV series Arrow ... :-) Yes, I have something of a weakness for stories featuring secret identities! Please take time to visit the other stops on the tour this week, and to enter our giveaway! b. Shannon McNear -- HERE! And don't forget to enter our huge Gift Basket Giveaway! It has been such a treat being in this collection with you. What a huge blessing. I love that you used Samwise as your template and that you have a colonial setting. And I agree with Susie, it's been a blessing being in this collection with you! Ah, thanks so much, Erica! You're also such a blessing! Thank you for stopping by, Gail! I hope you enjoy the stories! CONGRATULATIONS on the release of "The Highwayman". I can't wait to read The Most Eligible Bachelor Collection. Enjoy the celebration! Thank you, Caryl! It has been a lot of fun working with these ladies! I'm so looking forward to this book! Thanks for sharing your character inspiration- I love learning about how authors envision their characters. Thank YOU for coming by and commenting, Heidi! This looks like a great book. I love the description of Sam Wheeler. Thanks for signing up, Carrie! I hope you enjoy the story.